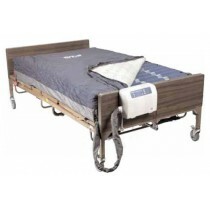 Air Hospital Beds are carefully designed for greater comfort and enhanced circulation. 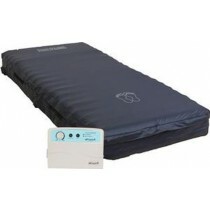 These medical air mattresses also play a pivotal role in preventing -- or treating -- serious ailments related to extended bed rest, such as pressure sores and skin shearing. 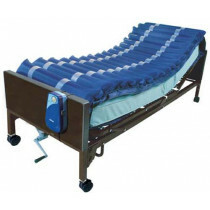 The comprehensively equipped Air Hospital Beds sold by Vitality Medical provide caregivers with consistency and support positive patient outcomes. Hospital Air Mattresses can be a vital tool used by nursing staff, enabling them to help identify patients at risk and gauge the risk's severity by recognizing the six risk factors involved in preventive care. 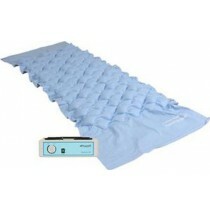 In addition to these benefits, those sleeping on Alternating Pressure Mattresses will wake refreshed. This is because the continually changing air pressure eliminates tossing and turning while keeping blood and fluid flowing for enhanced circulation. 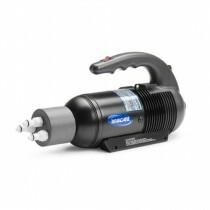 Turning: Many models utilize air chambers and/or cylinders to laterally turn an occupant. 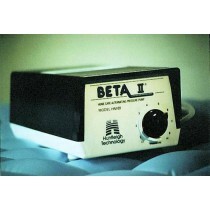 This helps prevent or treat bedsores by taking pressue off of delicate/injured skin. Comfort is also increased through greater circulation and mucosal drainage. 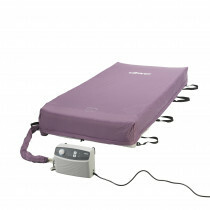 Select models, like Drive Medical's 10 Inch Lateral Rotation Mattress with on Demand Low Air Loss, can laterally transfer occupants from their backs to their sides by up to 40 degrees. 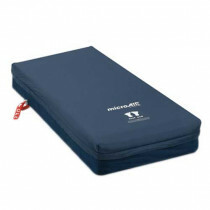 Size: Medical Air Mattresses are right-sized for hospital bed frames, ensuring comfort and safety. 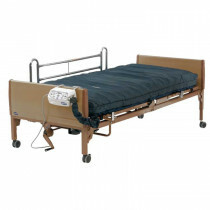 Sizes vary from standard models that are 75 inches long x 32 inches wide, to extended or bariatric models that are up to 80 inches long and 42 inches wide, such as Drive Medical's Med-Aire PLUS Bariatric Alternating Pressure Low Air Loss Mattress System bed. 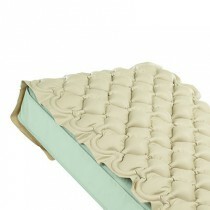 Skin health: In addition to turning, Hospital Air Mattresses also have elements that promote skin health. These include anti-shearing zones among the tops and bottom ends of the mattress that guard sensitive scapulas and heels from unnecessary friction. 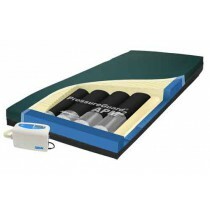 These zones are found in beds such as Span America's PressureGuard Turn Select Air Mattress System. 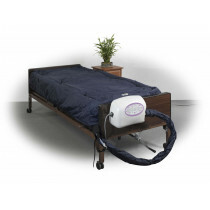 Drive Medical's Mattress System with Pulsation True Low Air Loss features exclusive Pulsate Mode technology. This automatically reduces air flow every 30 seconds, getting blood flowing and reducing pressure to prevent bedsores formation. Safety: Several Air Mattresses have features, such as a static perimeter, that prevents entrapment between a mattress and bed rails. 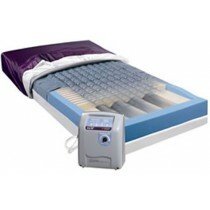 These include Med-Aire's PLUS DP Defined Perimeter Alternating Pressure Air Mattress Overlay Low Air Loss System 36 x 80 x 8. 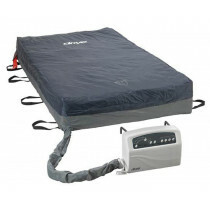 Transfer Capability: If you are a caregiver, consider a medical air mattress with a transfer mode that automatically inflates or deflates as needed to assist with daily activities. 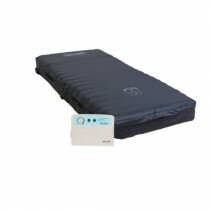 These models include the PressureGuard APM2 Mattress. For additional peace of mind, select units remain inflated during power outages to keep occupants supported. 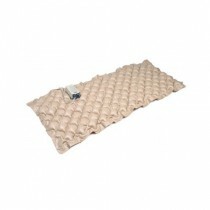 These include Invacare's microAIR MA90 Alternating Pressure Lateral Rotation Mattress. 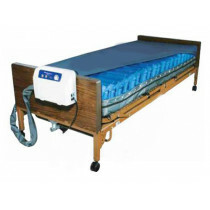 Budget: Even the most budget-friendly hospital air beds sold by Vitality Medical can positively impact occupant wellness. 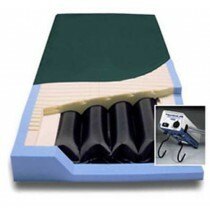 Invacare's value-packed ProBasics SatinAir APM Low Air Loss Mattress, for example, includes the essentials like laser-cut vents that minimize air buildup and low air loss for proper pressure ulcer (bedsore) treatment and prevention. If outfitting multiple beds or watching a budget closely, consider an overlay for traditional innerspring mattreses. These overlays, such as Invacare's CareGuard Alternating Pressure Pump and Pad, feature basic air pressure cells for patients at risk of developing pressure ulcers. 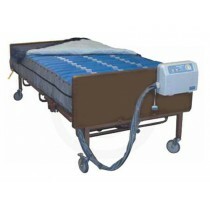 Vitality Medical also carries pumps and bed inflators.